Nobody, really. I am not bad at several things, but have a lot more to learn about all of them. Apart from during my teenage years, I never aspired to be a full time writer. This is a website where the majority of the content comprises mostly former professional footballers speaking about their playing days whilst wearing glasses with a slightly reddish tint. In 1995 I started contributing sketch articles to a Middlesbrough FC fans magazine, Middlesbrough Supporters South. Encouraged by the response, I progressed to tracking down former players and conducting interviews. This led to work offers from the national media and a travelogue film made in the USA during 2003, which NTL edited into a 30 minute film for broadcast. Interviews have taken me to Amsterdam (Heine Otto) Lazio FC’s training complex just outside Rome (Fabrizio Ravanelli) and as far as Atlanta Georgia, USA (David Chadwick). As a teenager, I always wanted to write. However during my school years I was more interested in being a cool dude and lothario than doing anything resembling work. I probably expected the NME (New Musical Express) to come and knock on my door when they needed a replacement for Tony Parsons, Nick Kent, Charles Shaar Murray or Ian McDonald – all of whom I admired. Nearly 20 years after leaving school the karma of opportunity and inclination coming together led to my first scribblings, which in turn led a further 10 years later to the creation of this site to store and share my work. By the age of eight, I was living with my then separated mother and two of my elder sisters in a council house in Burnt Oak, north London. The Boro lost (of course) at Millwall but I was hooked - underachievement, frustration, anger, injustice – the Boro mirrored my own life. I jumped aboard the good ship Ayresome as we set sail for the choppy waters of 1969. The 18 year old lad who took me to that (and many, many matches over the years) is, as of this date (October 2017) my 67 year old brother-in-law, still married to my sister, 49 years and six children later. Three of these kids were born in the Boro and still live there with their own families. By a quirky conincidence, one of my other sisters also married into a north east family and has lived in Middlesbrough for some 35 years with her husband, and their children are grown up and still live in the town too. So even though I do not, and never have lived in the Boro, I do have strong family ties there. 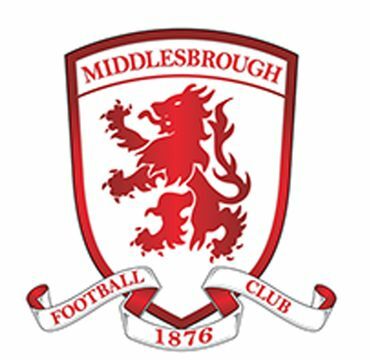 I guess the best thing about being a southerner supporting the Boro is that nobody can ever call me a glory seeker. Although in a perverse way, I live in hope of this.